Between hayfever, work and the European championship, I still haven’t been out for a walk since the weekend. I did find the old photos that I’ve been looking for though. One of the joys of old photos can be the unexpected juxtapositions that they throw up. 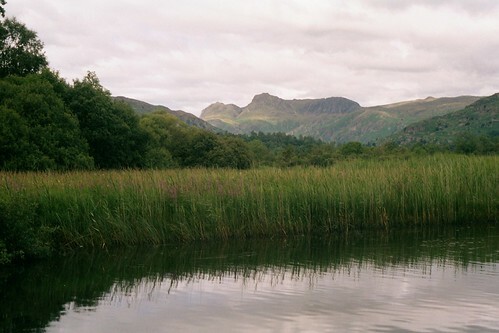 This is the Langdale Pikes, taken I think from the point where the stream flows out of Elterwater. 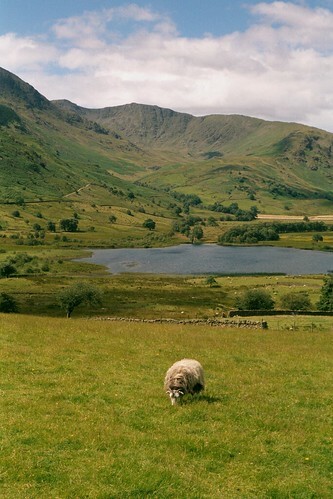 I took it back in 2000 whilst on a walk with my Mum and Dad. 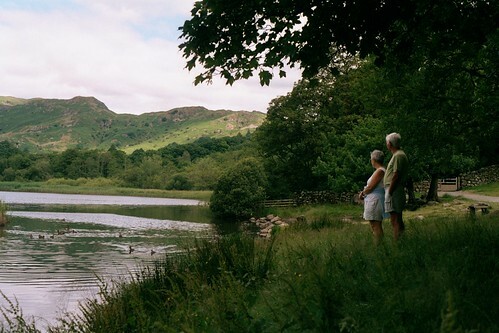 The next photo on the film looks like Little Langdale Tarn, presumably taken on the same day. My first view of the Cordillera Blanca. 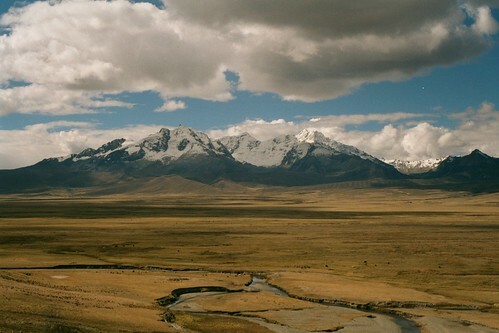 Taken from a headache inducing pass at around 4000m on a drive from sea level at Lima, where I apparently took no photos at all, to the mountain town of Huarez. Where we would spend some time acclimatizing and drinking coca tea before heading into the mountains. 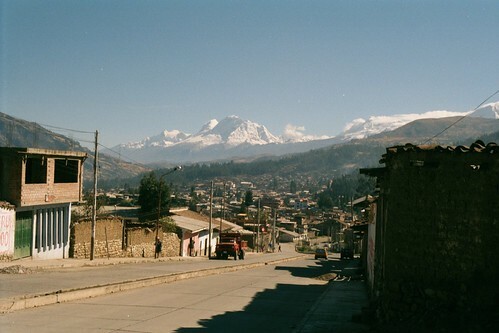 The big beast in the background is Huascaran, the highest mountain in Peru. I tend to think that I have a poor memory but this photo brings Huarez flooding back – the hummingbirds in the Hotel garden, the friendly locals calling us Gringos, the great bars and beers, the fervour of the local support for their national team in the Copa America, the huge queues and the heavily armed guards in the bank. I can almost smell the place.